Pineapple Express harbors the taste and aroma of tropical fruits from Pineapple Chunk but is harvested in only 10 weeks. It is a Indica-dominant strain having a corporal and cerebral high. 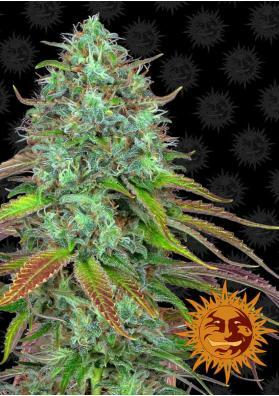 Pineapple Express is the autoflowering version of Pineapple Chunk that was created by crossing a Skunk x Hawaii x Trainwreck hybrid with a Ruderalis genetics. 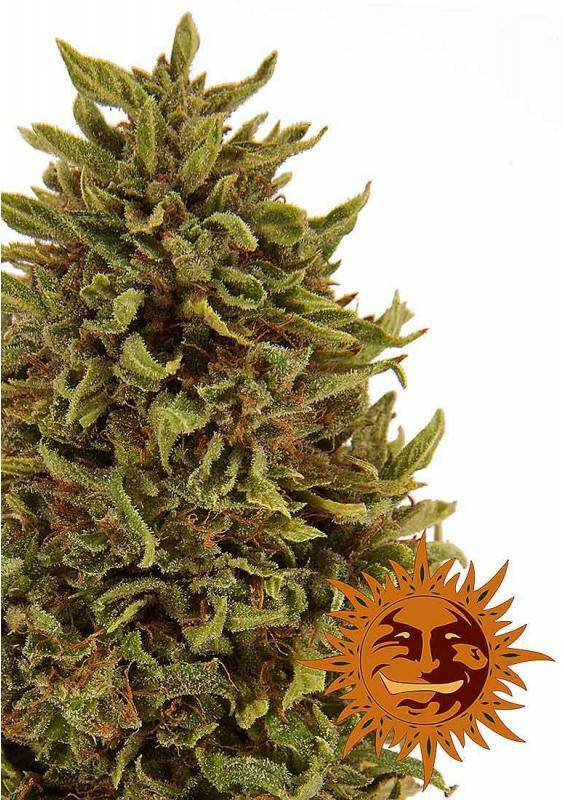 This Indica-dominant strain of small size does not generally exceed half meter tall and develops few side branches. Despite being able to achieve great outcomes in outdoors, this specimen is ideal for growing in reduced spaces due to its structural features. If you want to maximize its performance you can use the intensive cultivation technique known as Sea of ​​Green (SOG), or applying the Supercropping technique. Indeed, this specimen develops basically a large central tail that becomes fully surrounded by the flowers. 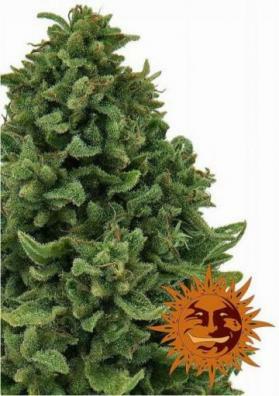 Pineapple Express is very easy to grow and require basic cares. In fact, any beginner grow can get a good crop of between 15 and 125 grams. It is not sensitive to excesses or shortages of fertilizers tolerating fairly well temperature changes. It has also a very short flowering period being fully developed between 65 and 75 days. As for the aroma, it keeps the scent of tropical fruits from its mother, which is also maintained in the mouth when tasting the dried buds. The high is durable hitting both the brain and the body being happy and uplifting. Besides that it can also be used to combat the stress and to relaxe the muscles. Considering its high CBD level, Pineapple Express has also medicinal properties harboring also considerable THC levels of about 13%.